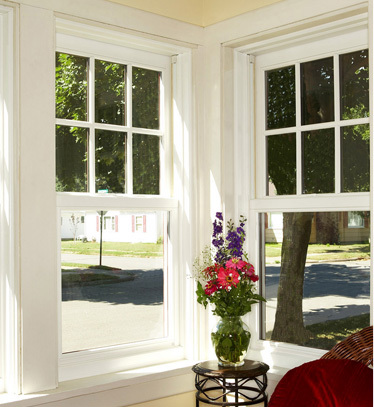 We make window replacements simple & affordable with our custom made energy efficient replacement windows! Beautify & Protect your home with beautiful Everlast® or HardiPlank® siding installed by the experts! Convert your existing screened porch into year-round usable space your entire family will enjoy. Restore curb appeal with new energy efficient elegant entry doors! All of our quality windows are proudly made in Atlanta using 100% American made materials and components. Shop Local, Buy Local! You are not “just a number” to us, unlike some other places. You just can’t beat the level of service and craftsmanship you get from a local small business. Nobody cares for their customers like the owner. That’s why is our owner is involved in every project. We strive for excellence in everything we do and will work hard to ensure your satisfaction. Our commitment to excellence and lots of hard work has earned us dozens of 5 Star Customer Reviews and an A+ Rating with the Better Business Bureau. U.S. Windows & Exteriors is a professional, state licensed home improvement company specializing in replacement windows, Everlast® & HardiPlank® siding installations, Roof replacements, as well as entry doors throughout Metropolitan Atlanta, Georgia. We operate our business on the philosophy of Integrity in Everything We Do.™ Our goal is to provide our customers with a pleasant and stress-free home improvement experience by being fully committed to customer satisfaction. We also detest pushy salespeople and their offensive tactics, so we promise to provide you with a relaxed and pressure-free approach to helping you improve your home. Learn about our pledges on our about us page. ©2017 U.S Windows & Exteriors. All Rights Reserved.